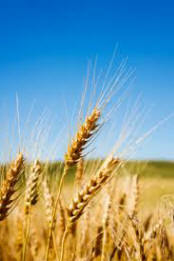 Wheat is eaten by almost everyone in the west, so it is not surprising that some people react adversely to it. Wheat contains gluten which causes Coeliac disease by triggering a reaction which damages the lining of the small bowel (and also a skin problem called Dermatitis Herpetiformis). 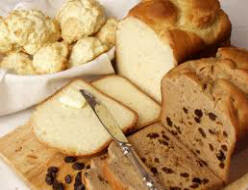 The lining of the gut is seriously damaged, food is not properly absorbed, and gluten has to be avoided for life. Since more sensitive tests were introduced and are available from GPs through the NHS many of the less severe cases have been identified, often explaining unaccountable ill-health for many years. A wide range of gluten-free products are available now from a variety of sources, but allergy to wheat is directed towards the wheat proteins rather than the gluten, so gluten free products are totally unsuitable for wheat sensitive people. Irritable Bowel Syndrome is very common, especially in women, and usually regarded by the medical profession as all in the mind. This may well be true in some cases, but there is also an unknown number of cases where the cause is intolerance of wheat, which is such a common item of diet that it would be surprising were it not to upset some people. Because this possibility is seldom taken seriously and a wheat-free diet tried out, we simply do not know how often wheat causes IBS and other digestive problems. In recent years blood tests have been advertised which promise to tell you what food to avoid to get better,, but there has never been a properly conducted trial of any of these very expensive tests. The food antibodies detected are of the IgG group, which can also be found in many normal people. The most striking case ever seen was a thirty-four year old lady who had had severe unpredictable intermittent diarrhoea for five years. Although she had been fully investigated by barium enema and colonoscopy at the local hospital no cause had been found, so her problem had been dismissed as IBS or psychosomatic. Her quality of life was seriously disturbed as abdominal pain and urgency could occur at any time, even when driving. She would not get married lest she had a sudden call during the ceremony, and sometimes even 6 capsules of Imodium had no effect. She was referred by a locum doctor who had asked for a blood count which had revealed a high number of eosinophil cells which suggested allergy. There were no clues or positive skin tests except to a grass extract from my own lawn, but no positive tests to grass pollen or any foods. As usual the answer was in the history, as she had recently observed that she had had a very severe attack on a day when she had had Weetabix, a pure wheat breakfast cereal, for breakfast, followed by more for lunch. As she had eaten nothing else that day wheat seemed to be a likely answer, supported by her observation that pasta, bran flakes, and a high fibre preparation prescribed for her “IBS” all made the diarrhoea much worse. Her occupation involved shift work, so any special diet was impossible, but because of the very suggestive history total avoidance of wheat was advised as a first approach. To her delight the diarrhoea ceased totally after a few days, and a week later she phoned saying “ Doctor, I don’t know what to do! I’m Constipated!! 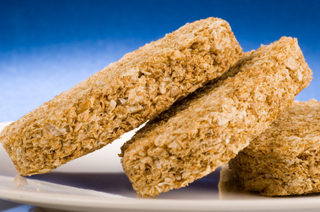 !” Weetabix was reintroduced, and every time caused acute pain and diarrhoea, but on a wheat free diet she has remained well, got married, and now has a daughter. This is an extreme example, but the diagnosis is seldom so straightforward! Dora had been quite fit as a child, but in her twenties she developed bronchiectasis, a problem where the bronchial tubes become grossly enlarged and chronically infected, so that huge amounts of infected sputum are produced, and the patient has to tip up every morning to get rid of it. Because it was mainly her left lung that was affected she had this lung removed when aged thirty, but the result was very disappointing and she became virtually bedridden because she was so short of breath from asthma. She was referred by the thoracic surgeon who had removed her lung, but there were no clues in the history and all tests were negative. I admitted her to hospital where a milk free diet was tried out but she actually she got worse, so she was sent home.. When she came to the out-patient clinic she was wheezing so loudly that I still remember hearing it through the door of the consulting room before she came in. My only positive suggestion, as I was just at the beginning of my interest in food allergy, was to try a very limited diet of meat, fish, and vegetables, and to everyone’s amazement she stopped wheezing in a few days. Reintroduction of bread cause wheezing every time, so wheat was avoided completely and she remained well. 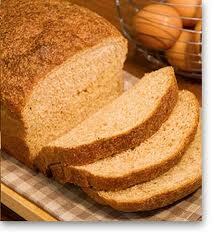 The reason why she got worse in hospital was because she was so hungry on the milk free diet that she ate more bread! In spite of all the negative skin and blood tests she was shown to be very sensitive indeed to wheat, because she found that Ryvita, which is was supposed to be pure rye and nothing else, caused wheezing. Enquiry from the makers revealed that the white dusting on the bottom of the Ryvita to stop it sticking was actually wheat flour, showing very clearly just how intensely allergic she was to wheat.. The next time her doctor came to visit her at home he was astonished to find the patient who had been a chronic invalid for six years scrubbing the floor and singing! She became very fit in spite of having only one lung, and became an enthusiastic walker. She also became an expert in avoiding wheat, which turns up in all manner of foods and is often not declared on the label. Of course this is an extreme example of wheat allergy causing very severe asthma, but her case does suggest that perhaps this possibility should be considered as a background allergy in severe cases of so-called ‘brittle’ asthma which are very unstable and difficult to treat even with all available drugs. 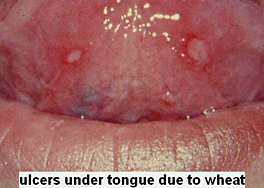 This lady had been suffering from ulcers in the mouth on and off for some years. 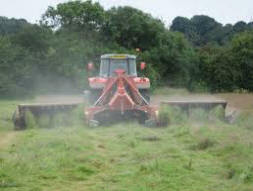 Her son had serious behaviour problems which disappeared on avoiding wheat. He had such a craving that he ate the stale bread off the bird table and then became violent again. Her ulcers cleared completely when I suggested that she also avoided wheat, and her blood test for Coeliac disease was negative. Presumably he had inherited his wheat intolerance from his mother. Janet is now 52, and had been attending the Dermatology Clinic since she was eleven with Scleroderma, a disease of connective tissue which causes thickening and contraction of the skin and other problems. From the age of about 46 she also developed severe eczema which the skin department did not appear to be able to control. She had a Vega test which suggested so many food allergies that avoidance would have led to malnutrition, but she tried avoiding wheat and milk products resulting in considerable improvement for two months. She then had an acute skin reaction to prawns, and a RAST test was carried out which showed that the Total IgE was 68 times normal, which the Dermatologist could not explain, and further investigation revealed Milk 3+, Soya 1+, Potato 1+, banana 2+, wheat 2+. This result was correct for milk, but reactions to eating the others were much more severe than the RAST test would indicate, and it was clear that immunological tests were only partly relevant to her case. She then developed such a severe attack of eczema that I had to give her a course of oral steroids in high dosage Her food problems was so complicated that she had to be prescribed Elemental Diet 028 to live on while the steroids were tapered off. This special product contains a complete diet which has been processed to such an extent that it will not turn on any allergies. 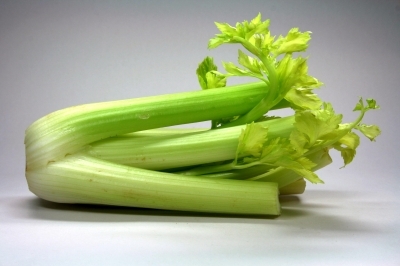 This liquid diet will also supply sufficient calories and essential nutrients to maintain health, so it is also used in treating colitis and other severe gut problems. This product can be prescribed on NHS in suitable cases or as a test, but is not often used. Having been weaned off the steroids on 028 without relapse of the eczema occurring the next step was to introduce a few foods diet, and as long as her skin remained in reasonable condition further foods were introduced one by one to find out which she could not tolerate. Four years later she has found out exactly what she can and cannot tolerate, and as long as she adheres to this diet she remains well. She still has to have very occasional courses of oral steroid to control a flare-up of the eczema as a result of inadvertent consumption of a forbidden food. Her list includes anything containing a trace of milk or milk casein, potato, celery, grapes, palm oil, and especially anything containing corn (maize). She can take a little bread, but she is so sensitive to corn that she gets eczema if she eats a chicken which has been fed on corn, or eggs from that chicken. She can eat both chicken and eggs from barley fed chickens without a flare-up of the eczema. It has been reported from the USA, where corn is used to make alcohol, that some patients react to corn whisky, but not to Scotch as it is made from barley. 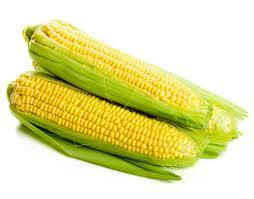 The list of foods which can contain corn is a very long one, and can be obtained from the internet or a supermarket. Milk fed pork causes trouble in milk allergic people, so she would be well-advised to enquire about the feed when purchasing pork products. Of course sausages are taboo. She has now been discharged from the skin clinic, and is able to control her condition by careful attention to her diet. She is an example of a successful allergist/patient partnership which could not have been achieved without her complete cooperation and experimentation. Shiela was forty-nine when she was referred for help with her severe chronic cough. Her mother had asthma, which she had found was related to milk and beef, and her fathers family had many allergic members. She started wheezing when aged three with intermittent eczema, and she could not go to school from May to September because of hay fever and asthma which was often so severe that she was either in bed or in a chair. This was a clear indication that she was allergic to both grass and tree pollens, and also mould spores later in the season. From September she could go back to school for the winter, and although her education was disrupted she was a studious only child and became a librarian from age nineteen. The seasonal asthma had subsided considerably by age thirty when she went to university to study informatics. From the age of about twenty-two onwards her asthma had been reasonably controlled with becotide rotahalers, where the active drug is mixed with micronised lactose powder, plus occasional courses of oral steroid when essential. About two and a half years before she was seen for the first time this particular formulation of inhaled steroid was discontinued. She was changed over to a similar inhalers using a different steroid, but all were in lactose powder inhalers not only for the steroid, but also for the long-acting and short-acting bronchodilators. Thus she was having three powder inhalers instead of one and because the asthma got worse the dose was increased until she was inhaling fifteen doses of lactose powder a day when first seen. Shortly after this change in inhaled treatment she had a sudden attack of asthma and a severe cough all night. This cough persisted and became a serious problem because it continued night and day, keeping everyone awake. The cough was accompanied with sputum, which was unusual for her, and the cough was described as explosive and incessant, causing serious concern. At the first consultation., surprisingly, her lung function tests were 112% of the predicted figure for her age and height, and the sputum did not contain eosinophil cells. These findings indicated that her asthma was totally under control, except for the loud explosive cough, and indeed her peak flows in the past had seldom been below 400l/min. She gave the significant history that she had always disliked milk, but her mother, who also reacted to milk, insisted that she must have because it was good for her! She stated that if she had milk she got a tickling sensation on the front of her neck, and felt ‘clogged up’----a statement which is always a strongly suggestive of milk allergy or intolerance—and dairy products always caused diarrhoea. She had a craving for potato, which also caused a tickly neck, and tomato caused an even more definite tickle. Curiously, her mother also has a similar allergy detector which reacts to milk, but at the back of her neck! The result was that she feels so rejuvenated that she is resuming her Phd studies, and the only time that she had coughed was when she had eaten forbidden food accidentally or on purpose. A small amount of beef caused coughing all night, bread a cough in a few minutes, and a trace of cream diarrhoea. She also had a severe obesity problem which resulted from ineffective courses of fertility drugs fourteen years before. She weighed 266 lbs (19 stones) at the first consultation, and 12 weeks later she had lost 21 lbs in weight, many previous attempts at dieting being unsuccessful. The RAST immunological tests were negative for specific IgE against potato and milk, a slight positive for wheat, and a definite positive for grass pollen. The Total IgE was only slightly over the normal. This scientific test could have been most misleading, but this has been a common experience in patients with food intolerances. Now the Qvar is being gradually withdrawn under peak flow monitoring to find out the minimum dose for the winter. She will almost certainly need treatment in the summer, although the removal of the food factors should lead to great improvement. The unanswered question is if the lactose contained traces of milk protein sufficient to trigger the cough, or if it was simply the irritant effect of fifteen lactose inhalations a day. This is possible because when lactose powder encounters the moist mucosal lining of the bronchi it will draw moisture from it producing a strong solution of the sugar which is very hypertonic, and irritating. She now requires only two puffs of Q-Var a day, and has not used her Ventolin for months. Jane was aged 59, and had had perennial allergic rhinitis for twenty-six years, beginning while pregnant, and had had polyps removed twice but they soon recurred. In the last five years her nose had been completely blocked and she had begun to develop asthma. Skin tests were all negative, but the nasal smear and a sputum sample were crowded with eosinophil cells characteristic of allergy. She was given a short sharp course of soluble oral steroid to clear the blocked nose, which was tapered off and a local steroid aerosol given instead. All her problems vanished with the course of steroids, and this improvement was maintained with the steroid aerosol. The next step was to try a few foods diet, and then to slowly stop the spray to find out if it was necessary. The result was that she stopped all treatment without relapsing, and the eosinophil cells disappeared from her nasal smear. Challenge tests with wheat on three occasions caused a feeling as of pressure on the chest, a feeling of being “clogged up “, and audible wheezing which came on in two hours and lasted for twelve. The last test kept her awake with sneezing and wheezing until five in the morning. The RAST test was, as expected, negative. She is very happy, requires no medication whatever, and has also solved her obesity problem. Geraldine was sixty-one, with a history that when aged 45 she developed such severe joint pains that she was placed on the disabled register and moving to a bungalow or installation of a stair lift was seriously considered. She attended the Rheumatology Department for some time but all findings were negative. The turning point was when she had mashed potatoes three days running and her joint pains became very severe, but were better on avoiding potato, so the idea that her troubles could be due to food intolerance was considered for the first time. Her husband, who was a science graduate, sorted her dietary intolerances out over the next five years without any medical help, and demonstrated that pains in the joints were repeatably triggered within a few hours by corn of any kind, corn syrup, or anything containing corn products or potato. Her sensitivity to corn was really extreme, as he discovered that Paracetamol tablets and Tenormin blood pressure tablets caused pain, and found that they contained corn starch as a bulking agent in the tablets. Paracetamol in capsules and Tenormin syrup caused no problem at all. He found that chocolate, onion, tea unless decaffeinated, grapes, banana, all cheese, and most breads (except one white sliced loaf which was tolerated for no obvious reason), and potato had to be avoided. All skin and blood tests were negative as would be expected in a case of intolerance. 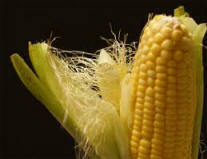 The most difficult food to avoid is corn because it is in so many items, the latest incident being most interesting. A nasal steroid spray was prescribed for nasal catarrh, and over the course of a week her joint pain became progressively worse. On stopping the nasal spray the pain disappeared in about a day. It was found that the contents list included dextrose, which is derived from corn, explaining her reaction.